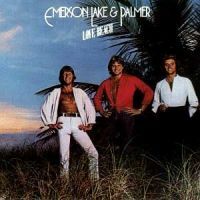 This is the 9th album by the supergroup Emerson, Lake & Palmer, which was definitely one of the most important, innovative and revolutionary groups to emerge on the Rock scene as leaders of the Progressive / Art Rock genre by the early 1970s. It is also the last album recorded by the band before they decided to disband, for the first but not the last time, closing up a decade of fabulous music-making. The album is often severely criticized and listed as the worst one ever recorded by the trio, but honestly and in retrospect, it is not that much different from the band's earlier material and although perhaps less inspired that the earlier material, still much better than what was played by their contemporaries. The album definitely deserves to be in every collection of the numerous faithful fans of the band.